When your subject is this gorgeous how can you go wrong? Seriously guys, have you ever seen a more beautiful expecting momma? 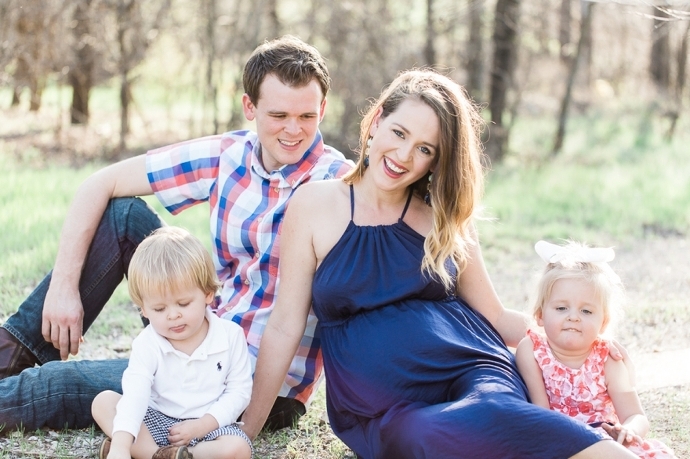 The weather was gorgeous and we had some beautiful light for this outdoor maternity session shot just a few steps from my newborn photography studio in Roanoke, TX! There is an abundance of trees, gravel walking paths, streams and wildflowers right outside the doors of the studio and I am so thankful to not have to travel far for gorgeous landscapes! Here is Kathleen and her little family waiting for baby number 3:) Enjoy!